Getting to grips with size is the biggest issue I find my clients struggle with. Taking the digits and visualising the object in a space is hard. Let alone trying to decide if it will work. Deciding if an object or piece will work requires you to juggle what feels like a myriad of considerations. It's so complex. But is it? In terms of size, or fit, essentially there are three elements in play. There's size, scale and proportion. Once you get to grips with each of these, life gets a lot easier. So size. Clearly size is about millimetres, centimetres and metres. Make sure you differentiate between these with the mm cm or M or peril will reign supreme. Know what these are and practise visualising certain lengths. In addition to the dimensions and its physical form, is the expectancy of size. We compare the size of an object to our own body or to what we expect from an item from a preconceived idea. We all have an expected size reference for things we see. 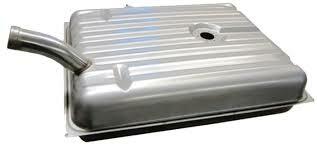 We all know the size of a fork, but how many of us know how big our fuel tank is? The two questions you need to be asking yourself with any design, layout, object or installation is - Will it fit? Can I/we move around it (IE is there space)? In addition, if it has a function or operable element, can this happen in the space provided. Cabinet doors are a great example of this. Especially end cabinets not being able to open fully due to architectural features. Next, proportion. This refers to the relative size of different parts of an object to its whole. Believe or not there are theories and rules to this, that have been followed for centuries. An ideal proportion is created when the ratio of the smaller section to the larger section is the same as the larger section to the whole item. This ration should be 2:3, often referred to as the 40/60. 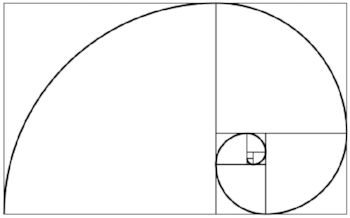 This 2:3 ration is found in nature and design and is called the 'Golden Mean' or 'Divine Proportion'. It's used in standard dimensions of picture frames, mirrors and rugs. It even effects how your lampshade will look on top of its base. Finally, scale. Scale is how the overall size of one object relates to the overall size of another object, or to the space in which it's place. Don't assume that only small pieces should be placed in small spaces. And vise versa. Pieces should have a combination of widths and heights. You don't want everything to be the same size or the same level. It will make your space very flat and dull. Oversized pieces can create an amazing sense of space and visual interest in all spaces. They play a vital role in creating an anchor to bring a space together or a WOW feature. The easiest pieces to over-scale and look great are window dressings, rugs, lamps and art work. If you're feeling bold, then a feature piece of furniture. With the rise of internet shopping, the difficulties in determining the suitability of items are escalated. Clearly reading dimensions and measuring the shape in your space is obvious and an easy way to confirm the footprint of a piece. But there are three other things you should check or consider. First. Height. Check the height of the piece whilst you check the width and length. It might look fine marked out of the floor, but once you extrapolate this up into the space, it might be cause problems with the associated wall space, or the overall volume may be too much for the room. Second. Check the images are the model or size you are interesting in. Many companies only have a few stock images of an item. But the item might be available in four sizes and two styles. So check the image configuration is correct before you start visualising it in your space. Three. If you look for inspiration on the internet, make sure you consider the size of the space or piece you're looking at. If your space is smaller then clearly some pieces or elements will need to be smaller, or removed altogether. The same with a singular piece of furniture. This isn't necessarily a bad thing, but it's something you need to bear in mind as you visualize your space. However you will find that there is a critical volume required for the look to remain in tact. There will be a point in which reducing the size or taking any further pieces out will loose the look entirely. Key is recognising this point and being able to let go. You will know instantly when you don't get it right. Your room and the pieces within it with either float, look monotonous or looked cramped. The trick is to be able to see it before they're installed. And even after then, its not too late. If it doesn't look quite right, there's always a way to fix it, by adding or removing something else. Tweek tweek. Unless its physically too big. Then you're on your own!